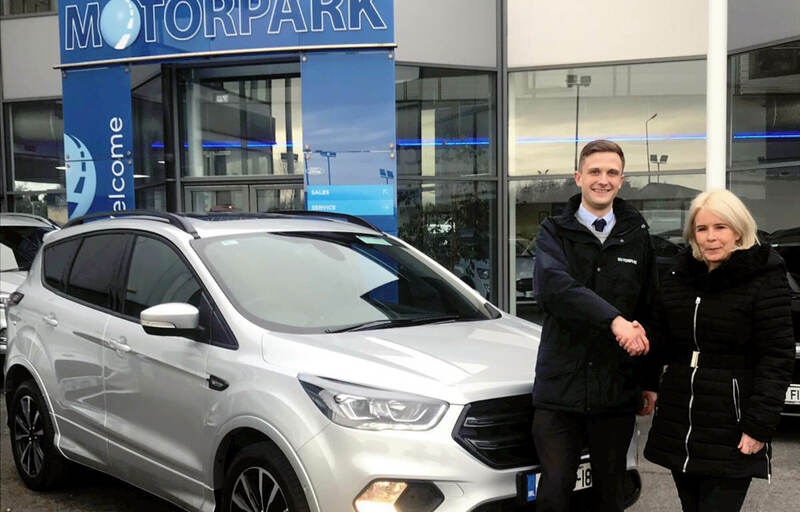 Peadar Costello, Sheils Motorpark Galway handing over the keys to a new Ford Kuga ST-Line. "I have been dealing with Shane Carroll for many years now and I find him very open, honest and upfront. I am very pleased with the entire sales process from start to finish"
"No problems. Everything explained, happy with price, salesman very helpful and thorough in his job. Knew really what I would like and not like in a car. Extremely happy." "The salesman could have been more helpful a really honest down to earth. The first time I called I knew by him he was the type of guy who wanted the business and had all the right answers. I will be back to deal with Sheils again!" "The receptionist at the desk was of good humour at an early hour and very helpful"
"I was very impressed with the service, the text message to me with a video of the engineer going through the checklist of the free health check was fantastic"
"Car was booked for 9am, it was taken in at 9am and ready on time. The whole experince was very well done down to the video of the inspection of my car."